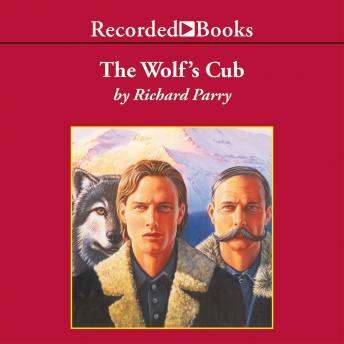 Novelist Richard Parry packs hard-hitting action, fast-moving plot twists, and offbeat frontier characters into this sequel to The Winter Wolf. As you travel alongside Nathan Blaylock, son of the legendary gunslinger Wyatt Earp, you will experience the danger and rugged beauty of the Alaskan wilderness of 1901. Ever since his Chinese lover died giving birth in the unruly town of Dawson, Nathan has been searching for his young son. The boy vanished along with the local doctor and patent medicine salesman, Doc Hennison. As Nathan follows Doc's trail throughout Alaska, he encounters seemingly insurmountable obstacles: lawless opportunists, the harsh Yukon winter weather, and a beautiful South American woman with a deadly agenda. Longtime Alaskan resident Richard Parry deftly weaves historical fact with fiction throughout this exciting western. With his expert performance, narrator Ed Sala captures the proud, uncompromising spirit of the men and women who tamed the Alaskan frontier.